Dispersed around the world, there are several bizarre labyrinths hiding incredible treasures within them. These mysterious places, known as “Dungeons,” are said to be the work of Magi, a class of rare magicians, who also help people build their empires by guiding them to a dungeon. Djinns, supernatural beings that rule over the labyrinths, grant successful conquerors access to their immense power and choose them as potential king candidates to rule the world. Having spent life in isolation, Aladdin, a kind and young magician, is eager to explore the world upon finally leaving his home behind. He begins his journey only accompanied by his mentor Ugo—a djinn that Aladdin can summon with his flute. However, Aladdin soon becomes friends with the courageous Alibaba Saluja after causing the destruction of a local merchant’s supply cart. In order to pay for the damages, Alibaba suggests that they attempt to conquer the nearest dungeon, taking the first step in an epic adventure that will decide the fate of the world itself. 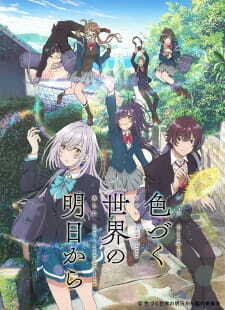 In 2008, high school student Sakura Minamoto is on her way to audition for an idol group when she is killed in a traffic accident. 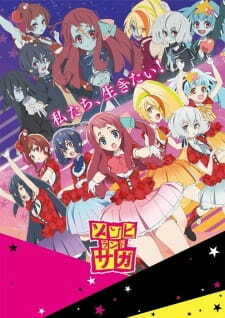 Ten years later, she discovers that she, along with six other “legendary” girls from various eras of Japan’s history, are resurrected as zombies by Kotaro Tatsumi to save Saga Prefecture as the all-zombie idol group Franchouchou. Lelouch Lamperouge, a Britannian student, unfortunately finds himself caught in a crossfire between the Britannian and the Area 11 rebel armed forces. 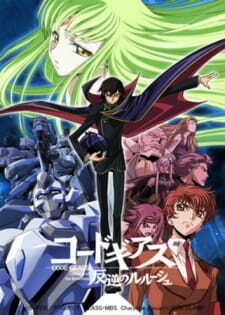 He is able to escape, however, thanks to the timely appearance of a mysterious girl named C.C., who bestows upon him Geass, the “Power of Kings.” Realizing the vast potential of his newfound “power of absolute obedience,” Lelouch embarks upon a perilous journey as the masked vigilante known as Zero, leading a merciless onslaught against Britannia in order to get revenge once and for all. Despite the kaleidoscopic magic ingrained in everyday life, Hitomi Tsukishiro’s monochrome world is deprived of emotion and feeling. On a night as black and white as any other, amidst the fireworks spreading across the sky, Hitomi’s grandmother Kohaku conjures a spell, for which she has been harnessing the moon’s light for 60 years, to send Hitomi back in time to the year 2018 when Kohaku was in high school. Hitomi’s mission seems unclear, but her grandmother assures her that she will know when she gets there. 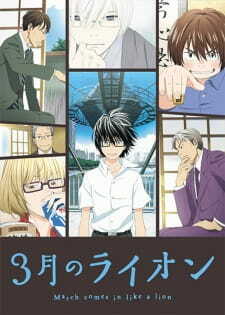 Following a trip through time aboard a train driven by a strange yellow creature, Hitomi finds herself in stoic artist Yuito Aoi’s room, and his drawings flood her world with color. What is Hitomi’s purpose there, and why do Yuito’s drawings return such breathtaking color to her drab world? After finally completing the first route of his visual novel, Blessing Software’s producer Tomoya Aki is optimistic about the future of his team and achieving their goal of creating the best game of the season. However, they still have a long way to go. For one, Megumi Katou still has an incredibly flat personality and is unable to fit the role of Tomoya’s ideal heroine. 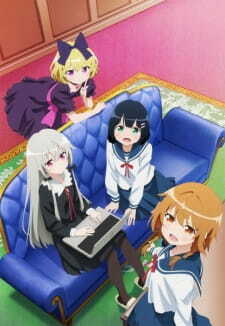 The other members of Blessing Software, Eriri Spencer Sawamura, Utaha Kasumigaoka, and Michiru Hyoudou, often forget she is even there due to her lack of presence and character. Throughout the development of their game, Blessing Software learns the struggles of working in an industry where deadlines must be met and edits are made constantly, and the hardships of working in a group setting. Shimogamo Yasaburo has the blood of a mystical racoon-like creature – a tanuki – but has the ability to transform into a human. He lives a playful life in Kyoto, where humans, tanuki, and tengu live side-by-side. Yasaburo and his family finally come to terms with their father’s death, reconciling with human and tengu alike. However, the son of Yasaburo’s teacher returns to the city after a century abroad, stirring up a world of trouble for everyone in Kyoto’s mystical underbelly. Perceived as strange and feared by man, over time the misshapen ones came to be known as Mushi. Although they harbor no ill intentions towards humans, many suffer from the side effects of their existence and strange nature; exploiting the Mushi without understanding them, even unintentionally, can lead to disaster and strife for any involved. Mushishi Zoku Shou continues the story of Mushishi Ginko on his journey to help the visible world to coexist with the Mushi. During his travels, Ginko discovers various gifted individuals—those cursed by circumstance and those maintaining a fragile symbiosis with the Mushi—inevitably confronting the question of whether humanity, talented and tortured alike, can manage the responsibility of the unseen. Moreover, as a Mushishi, Ginko must learn more about these strange beings and decide if he has the right to interfere with the complex relationships between Mushi and mankind. Filled with overwhelming excitement and backed by the criminal syndicate responsible for his thrown matches, Junk Dog enters Megalonia: a world-spanning tournament that will decide the strongest Megalo Boxer of them all. Having no name of his own, he takes on the moniker of “Joe” as he begins his climb from the very bottom of the ranked list of fighters. With only three months left to qualify, Joe must face off against opponents the likes of which he has never fought in order to meet the challenge of his rival. Next week is O-Week, which means we’ve got special O-Week events lined up for you! Kicking it off on Wednesday 15th, we’ll be holding a MADMAN-sponsored screening of Wolf Children from 6pm in Manning Clark Theatre 3! Then on Friday, we’ll be holding a gaming night from 5pm until late in Moran G008/G009. There’ll be board games, video games and general nerding about, as well as free pizza at 6:30pm! On top of this, we’re holding a one-off Super Smash Bros. tournament in collaboration with our friends over at Games Capital with prize vouchers for the top places and free to enter! Of course, everything is members only (we need to keep running somehow!) but you can sign up for membership at our stall on Market Day or at any of our events for only $10 for the year! It’s nearing the end of the year, university’s finished and a lot of people are starting to think about putting up trees in their houses and covering them with shiny objects, or alternatively going… well, anywhere but Canberra. Before this year comes to an end, we have one last special event: LASER Tag! We’ll be hosting a laser tag event at Zone 3 this coming Wednesday, 7 December from 6:30pm. It’s $10 for members, though any non-member you might be dragging along will need to sign up before participating (for only $5). Also, if anyone is free and/or interested, a group of us will be getting dinner in the food court at Westfield Belconnen at around 5pm to make sure we’ve got enough energy to last the night! With the arrival of a new semester, we have an updated screenings lineup and a couple of Bush Week events! 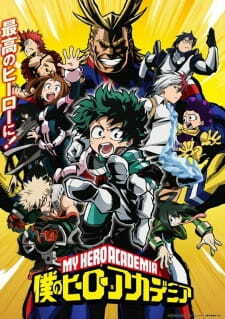 On Wednesday, we have a special screening of the second Digimin Adventure Tri movie in Manning Clark Theatrette 4 with board games running simultaneously for those more game-oriented while on Friday we’ll be holding a special trivia night in the Copland Theatre! See https://www.facebook.com/events/1064218876961250/ for more information. I hope to see you guys around! We’ll also be holding a laser tag event on Friday 22 April from 6pm – more information can be seen on the event page (https://www.facebook.com/events/745345738935700/). As we move into first semester, we’ve got a series of announcements to make. First, next week is O-Week. For our O-Week events, we’ll be holding a special screening of Digimon Adventure Tri on Wednesday 10th in MCC T3 from 6pm, while on Friday we’ll be having a gaming and pizza night in Moran G007/G008 starting from 5pm. Second, a new year brings a new executive committee. To elect the new exec, the AGM will be held on Friday March 4th starting at 5pm. We’re always on the look out for new exec members, so if you’re interested in helping the society to run smoothly, talk to me or any of the exec and we’d be happy to tell you about the positions and their roles. Finally, it’s also time to announce our first semester screenings lineup! For more information you can see our screenings page (http://anuags.org.au/screenings/). That just about concludes it. We hope to see you there! With university exams coming up soon, we’re getting ready to begin our holiday screenings, so here’s the official announcement for what we’ll be playing! On Wednesdays, we’ll be continuing My Love Story, Durarara and Mushishi while adding the comedy Yamada and the Seven Witches and supernatural drama Natsuyuki Rendezvous to replace Trigun and Terror in Resonance respectively. 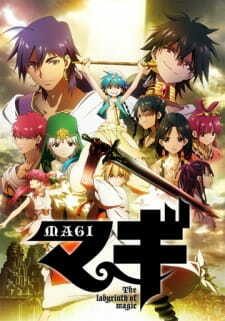 On Fridays, for the most part we’ll be having double episodes of rom-com Nisekoi followed by psychological/mystery Death Parade and triple episodes of magic/action anime Tokyo Ravens, though I’ve slotted in the hilarious Carnival Phantasm for good measure due to it being a spin-off of the Fate series. I’ve attached an image below for the schedule and I’ve tried to be as clear as possible, though I apologise for anything confusing – feel fee to contact me for clarification. Also, because of the weird structure of the holidays and our delays in August it turned out to be a bit of a Frankenstein’s monster… Anyway, we’ve got some good anime lined up for these holidays, so look forward to it! As a last note, for the two weeks from the 2nd to the 15th of November the MCC is having wifi installed so for the screenings around then we’ll be having our screenings elsewhere. The location isn’t confirmed yet, though I’ll let you guys know as soon as it’s sorted out.